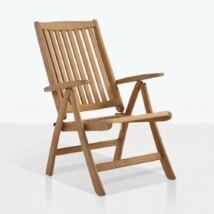 Appealing, classic and full of possibilities; set your sights on the Regency Teak Reclining Chair! 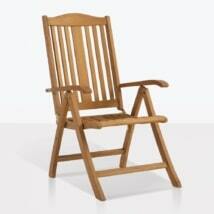 Part of our series of quality recliners, the Regency Recliner is exactly that: The name says it all. 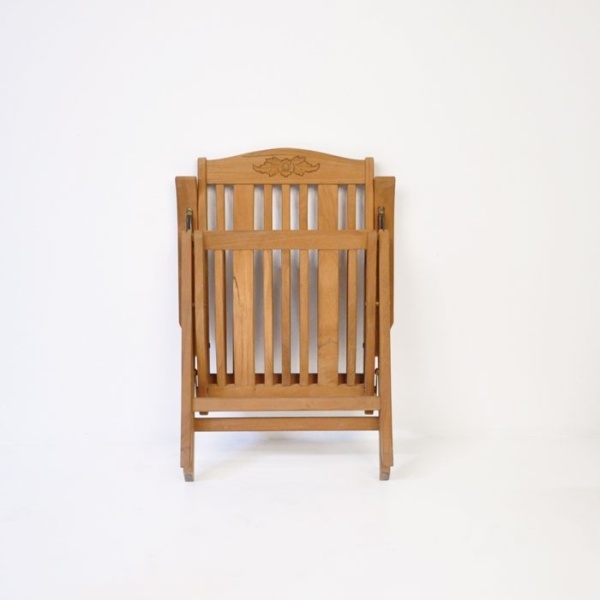 This regal reclining chair will keep you in majestic elegance! 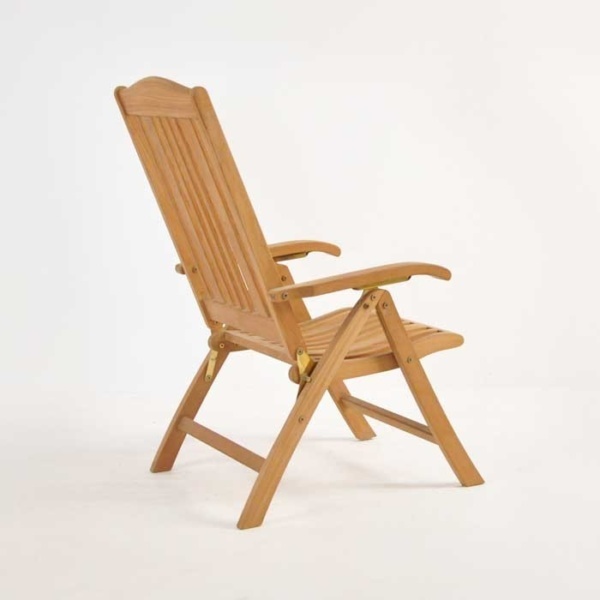 Whether beachside or on your front porch; the Recency Reclining Chair for the outdoors is both classic in design, and comfortable in function. 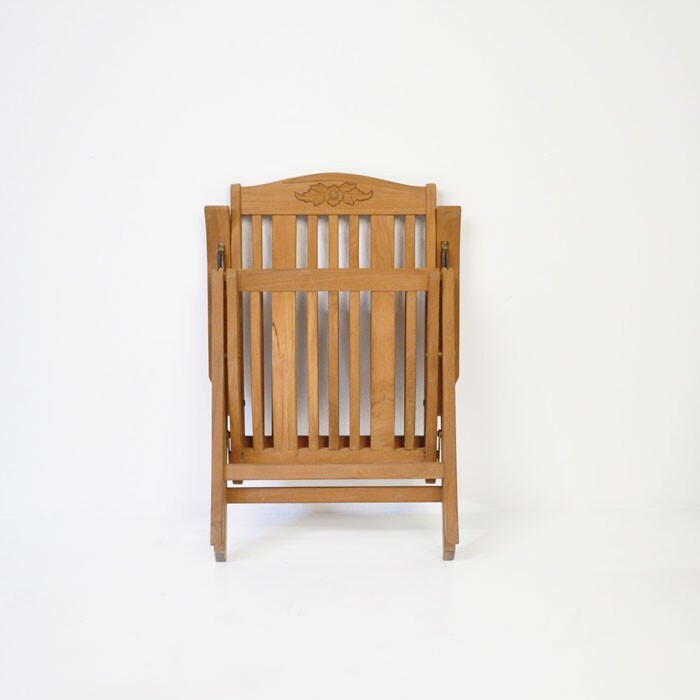 This classic teak reclining chair features a solid, sturdy frame, and a back piece that is adjustable for your comfort and an embellished accent carved into the teak; all making this piece sure to be the statement for your vintage-inspired outdoors. The Regency Recliner is constructed from the all weather, highly sought after A-Grade Teak, known and recognised for being a strong and long lasting timber; with stunning brass fixings, you can be sure to have this elegant recliner in your home for years to come. Do you have a small porch you wish to relax in after a long days work? Place two Regency Recliners side by side, with a Small Nest Table for placing a cool drink or hot cup of Joe! 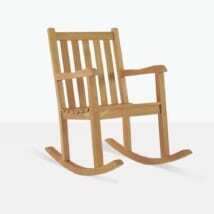 These classic teak reclining chairs make a great piece for the head of the table! A Regency Recliner at each end of your dining table provides deserved comfort, and space for you to enjoy big, joyous meals with friends and family. Perhaps you have a narrow area by your pool? Place several Regency Recliners alongside the water as a great alternative to a traditional sunbed! Add in a couple of Toscana Accent Tables and you’re set for sunbathing in between dips! 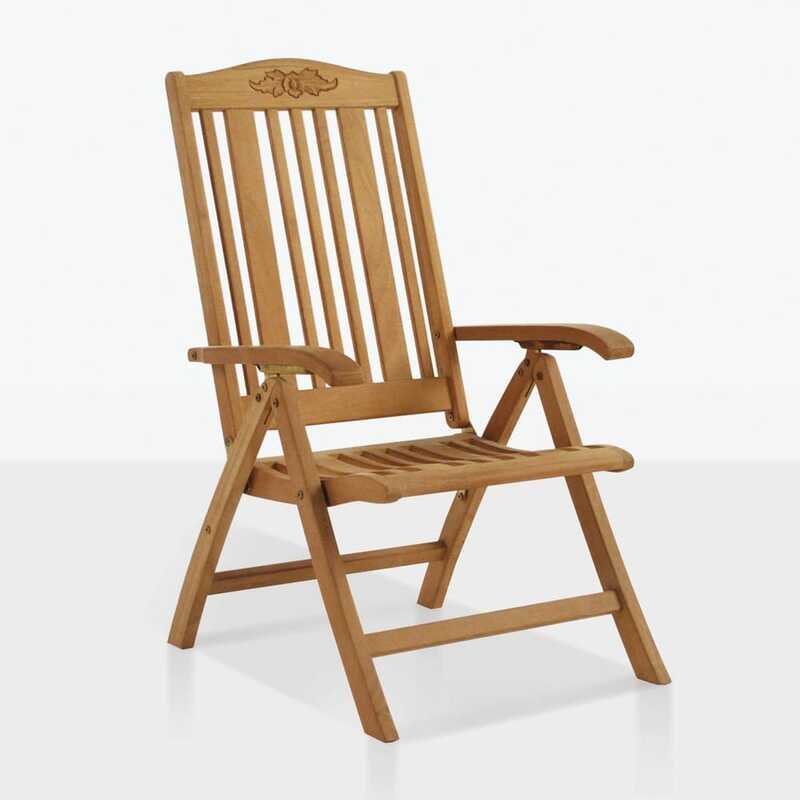 At Teak Warehouse, we are available 7 days a week to help you with all your outdoor furniture needs. You can contact us via the website, email, on the phone or in store! We are happy to help you find the best suite for your home!